Simply put, this is for the kids. Built in 1961, the County Fair Swim Club has proven that it is a staple in the east Lawrence community and has been for nearly 50 years. Currently in its 49th year, the volunteers, along with the neighborhood children would like to see the pool make it to the milestone 50-year anniversary. However, with the walls of the pool beginning to crumble, a water pump that struggles to filter the pool, and buildings that are in desperate need of updating, the County Fair Swim Club is in dire need of upgrades in order to remain in operation. In addition, the cost to run the pool (chemicals, insurance, maintenance) is far more than pool can afford this season. That’s why we need YOU. We need community members, pool members, neighborhood friends, friends of friends, acquaintances, and donors to help donate to fund this 2010 pool season. 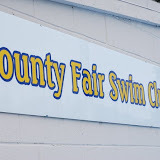 On April 2, 2010, Missi Pfeifer organized a benefit for the County Fair Swim Club that included raffling off donated items to raise money for the pool. This fundraiser generated $2,600 for the pool. However, this is not enough to keep the pool running for the summer. Maintenance and insurance costs alone are more than this figure. Why is this important? Well if you have gotten this far, the County Fair Swim Club is important to the children and the parents in the east Lawrence community. Admission for a daily pass is $2.00 with a discounted rate of $1 after 5PM. The unfortunate part is that some kids cannot afford even $2 to swim, they wait until 5PM to enter with their $1. The advantage to the pool in this neighborhood is that most kids do not have a mode of transportation to the city pool that is across town. Additionally, admission to the city pool is $4 for children ages 5-17 which is 50% more than admission to the County Fair Swim Club. The County Fair Swim Club is open to families and has memberships available. The normal rate for a family pass is $250 for the season and this includes six people on the pass. However, due to the weather conditions and the economy, we have lowered the seasonal pass rate to $150 for the summer. Please help the County Fair Swim Club in any way that you can. Donations can be made through the mail to PO Box 976, Lawrence, KS 66046. Additional donation methods will be coming soon.